Telstar provides solutions and equipment with freeze-drying and vacuum-drying technology, ranging from laboratory freeze-dryers to production GMP freeze-dryers with built-in automatic loading and unloading systems. Improvements in the process of freeze-drying and of the equipment to carry it out have been a continuous challenge since Telstar’s very beginnings. The design of units for efficient drying under as aseptic conditions as possible has led to the development of specific equipment solutions for use in laboratory and industrial applications. With more than 50 years’ experience in this field, Telstar has become specialized in the design and production of GMP equipment for the industrial sector and GLP equipment for the laboratory area. That is why the design of equipment is focused on strict compliance with current legislation and the trends established by the most demanding customers. This has led to improvements in the laboratory equipment through a fundamental increase in process understanding. 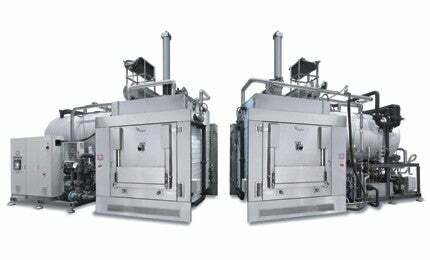 As far as industrial freeze-drying is concerned, the weight of innovation has centered on process control, sterility and product loading and unloading automation aspects. Future challenges will soon lead to intelligent systems with self-adjusting process control, nucleation control for the freezing phase and a diverse range of innovations to solve customer’s future needs. The main challenges in today’s generic and specialty drug and biotech markets are shortening time to market and increasing productivity, while assuring quality and reducing costs.